Games People Hate: Peggle Blast! Peggle Blast! is a free to play game made in the style of the original Peggle game. It is also a game people hate. The reviews generally put this game in an almost demonic light, as witnessed here and here, and the metacritic score of this game, which is not necessarily a correct way to judge things at all, is 52 using their "positive, mixed, negative" method (this is what makes it a poor way to score: the true answer is that 6 are mixed, 2 are negative and 2 are positive... so only 2 are positive) and a solid 3.0/10 on the user score. Here, I will attempt to show you that even games that people hate aren't bad games. They just aren't always for everyone. Author's note: I will not be following the standard TAY review structure for most of the games in this series because they are not standard games. I will discuss the games, and at the end, give a TL,DR on the merits, or lack thereof, of the games. Enjoy! That's right, the dreaded Free to Play! An evil so horrible, we shan't discuss it! Well, get over it. You can definitely still have fun with free to play, and we shall indeed discuss it here. Any F2P games that I play in this series will be played without spending any money. Not because I'm cheap, but because I stand for justice, and good videogames worth playing. I am cheap though, on a totally unrelated note. Let's get started! The in-game items available for purchase include power-ups, lives to extend play after failed attempts, and extra balls to extend single-stage play. The power-ups are earnable, save for 2 "win button" power-ups through in-game advertisements. Unlike many other F2P games, advertisements never play automatically. The player must select "Claim" on the "free" gift bar at the bottom of the screen before a stage, then an advertisement will play and the player receives an item. These items are random. This ever-helpful goggles-wearing unicorn will gladly help you make the right decisions. The lives to extend play are automatically earned back over 30 minute increments, and can sometimes be earned by watching an advertisement. You can also earn a single extra ball after failing a stage this way. Premise: Destroy the Evil Pegs! Old school basics, where unicorns don't need goggles. Peggle is one of the most mind-blowingly simple games to ever be released unto the world. It is like Breakout! in the style of pachinko. You shoot a ball down into pegs, known in the game as "Peggles", and usually must break all of the orange pegs to win. When the shooter-ball falls to the bottom of the screen, the ball is lost unless it is caught by the bucket, which moves back and forth. There are several different characters, all of whom have different powers, which are activated Peggle Blast! takes these mechanics a step further. There are different game modes, such as "gem drop", where the player must break the pegs supporting gems so that they will fall into the bottom of the screen, and "egg hatch", where several phoenix eggs must be hatched by hitting them 3 times without the eggs falling into the bottom of the screen, unless the egg lands into the bucket. As far as free to play games, this game is by far milder than others that I have played. There are no autoplay advertisements, almost all stages can be beaten without the use of items, and I have beaten the game, which is updated regularly to include more stages monthly, without having purchased any items. It is a very fun game, as was the original Peggle game. There are some slight issues when it comes to certain stages, and also similar to the original game, there had to be strategy involved to "solve the puzzle" if you will, which usually has to do with using the power-ups wisely to take out the most amount of pegs possible. There is a good amount of luck involved as well. Some of the boss stages, on the other hand, are downright unfair. The antagonist can win the coin flip and immediately destroy the majority of the pegs on his first turn. The yucky part is that he will win the coin flip every time and do this. Sometimes, however, he will simply admit defeat, and shoot his ball straight into the bottom of the screen intentionally. This part seems to vary depending on which part of the game you are on. I have played this stage maybe 30 times, and this coin has never landed on heads. If you are decent at Peggle, you can play this game infinitely, as the game only limits play based on your losses. Once you have beaten a stage, even if you lose, you do not lose a life. If you are in line somewhere, or waiting on someone to get to your house, or waiting for your car to warm up in the morning, even if you lost 5 times in a row, you would have had plenty enough time to fill in about 5-10 minutes before you ran out of turns. This, to me, makes the game 100% acceptable, as mobile games aren't necessarily "sit and grind forever" games, like some console games are. 5-10 minutes is more than fine for a short wait, and even when played in this frequency, someone could easily beat all of the stages with enough patience and tries. It might take you a few months of playing here and there, but there is absolutely no reward for beating the levels, no resolution other than having beaten the stage. It's a fun little timesink to spend a few minutes. The only way I could see this game being overly monetized is with completionists and grinders who expect to be able to beat a game in one afternoon. You could easily spend lots of money on this game, but you would simply reach the end of the game using the equivalent of cheat codes at a faster rate. The original Peggle games were grindy and multiplayer, so this game is a departure from the original game while leaving the overall feeling, similar to how a movie or play can be a departure from the original book or screenplay, leaving the spirit of the original intact. The medium changed, and the spirit of the original game and fun factor was retained. Some of the things that were in the other game were not in this game, and some new things were added. Overall, Peggle Blast! is a fun game that gives the player a neat way to spend a few minutes. If you don't mind watching advertisements for rewards, you could easily beat all of the stages that give you any trouble, and once again, any stage can be beaten without the use of power-ups. It is a well-built, solid, interactive game. People who want a fun little way to spend a little time, fans of the original Peggle game, people who like cute little animals with ridiculous pachinko-ball superpowers. This question is always best answered by the previous question's answer! If you are the target audience, you will enjoy it! If you absolutely despise free-to-play mechanics and will not forgive them ever, then no, don't play this game. Otherwise, one of the most beautiful things about F2P games is that you can try them without spending a dime. Yes! This game is good not only by virtue of being fun like the original games, but because it passes the litmus test of "5-10 minutes on mobile" gameplay time. 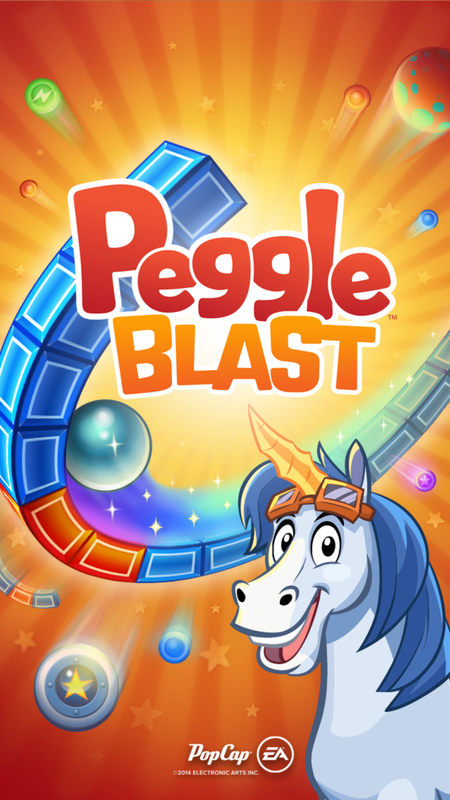 Have you played Peggle Blast!? Please feel free to ask questions, submit corrections to the article, or talk about this game or other F2p games amongst yourselves! This is a series by Duckhead about games that people generally despise. Do you have a game that you hate, or a game that has gotten a bad rap? Suggest it for a future article in the comments below, or email TAYDuckhead@outlook.com!